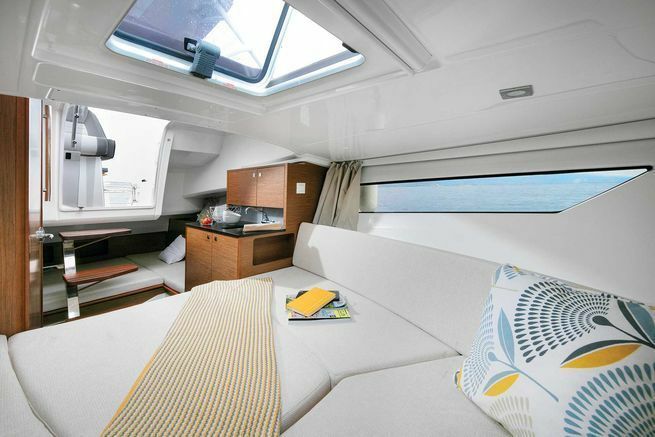 2019 JEANNEAU LEADER 9.0 CC – ARRIVING SOON! 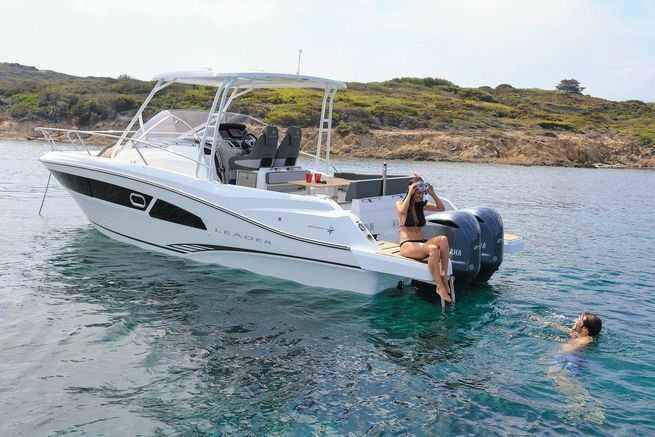 A powerful new model is joining the Jeanneau Leader Outboard Range. Introducing the Leader 9.0 Center Console. 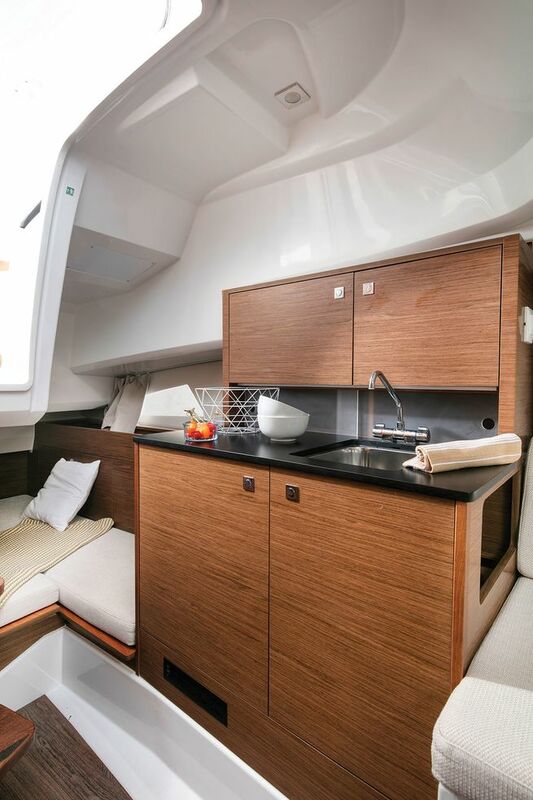 Launched in March 2018 in Europe, this 30-footer has now made its way to North America — being the first Center Console of the Jeanneau Leader Range. 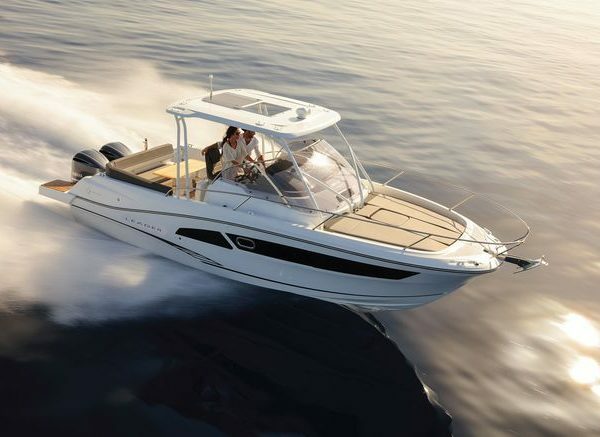 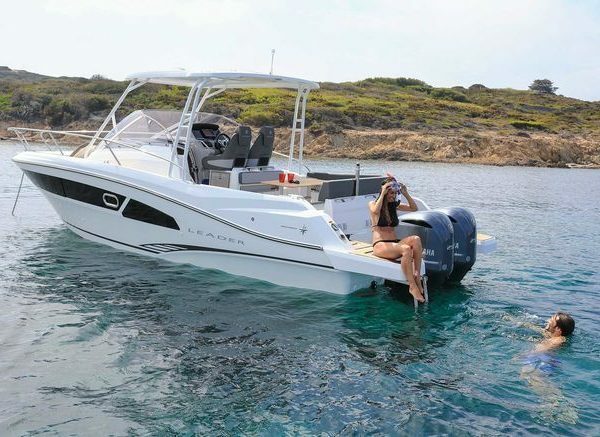 Once again, Jeanneau managed to design a powerboat with unique features for the American Market. 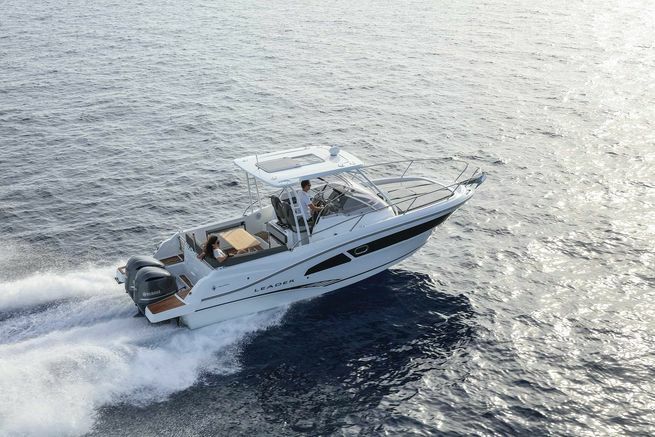 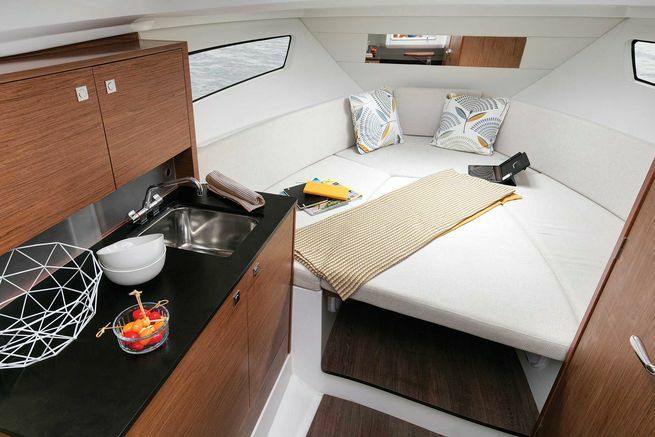 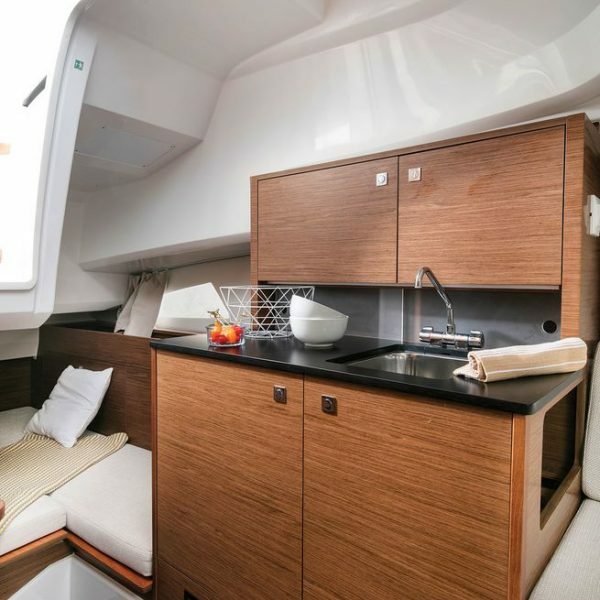 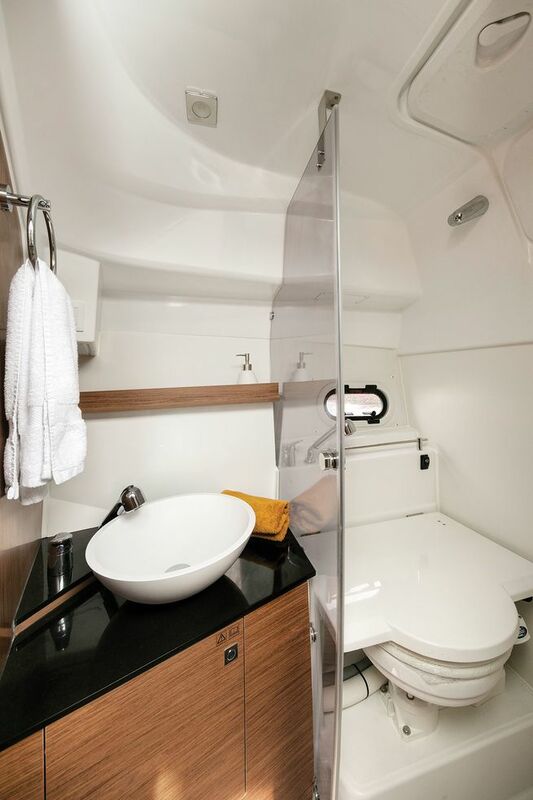 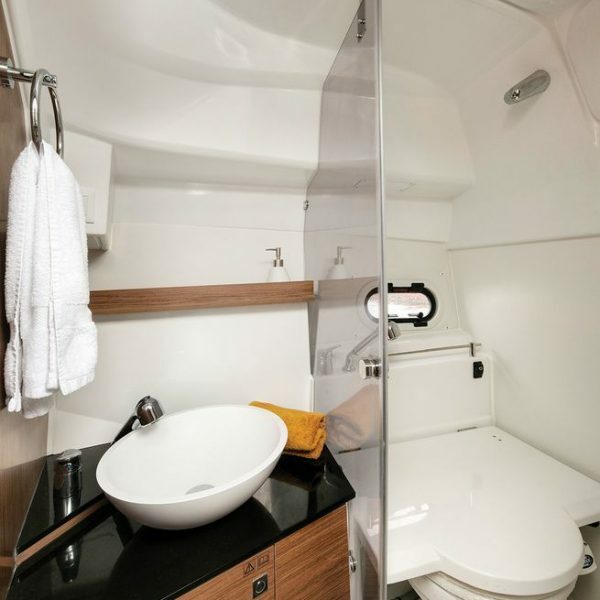 It is the only 30-foot Center Console with a double berth down below, a separate shower and head compartment, optional air conditioning, and optional generator. 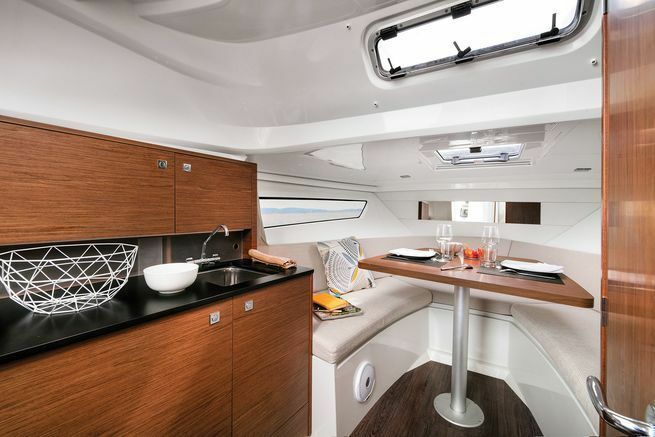 Look no further — this is the center console revolution you’ve been waiting for. 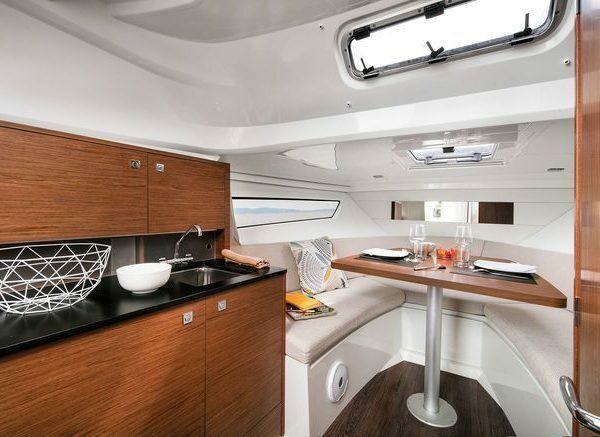 The helm station has sleek seating for three and is shaded with a hardtop. 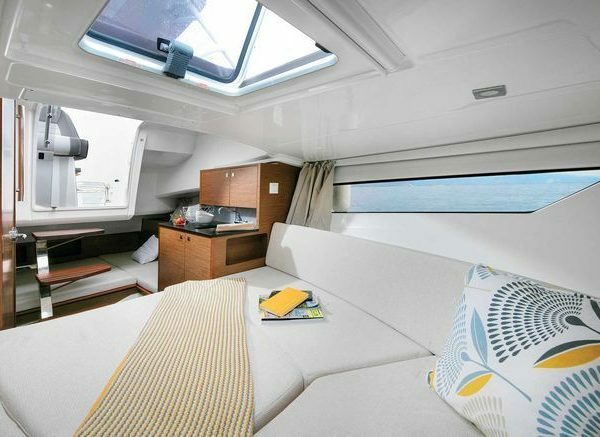 Moving to the forward lounge. 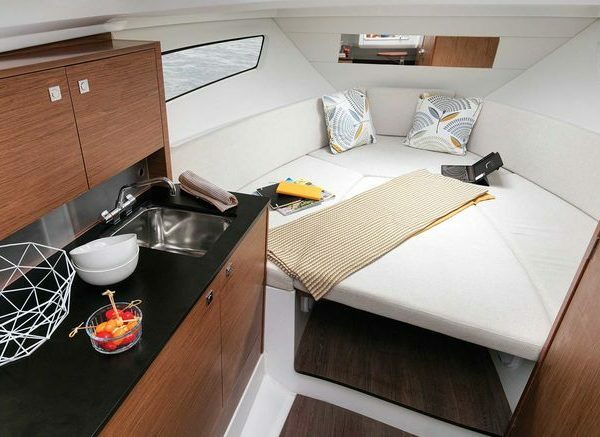 A U-shaped couch can be completed with an optional table and converted into a vast sundeck. Whether you’re cruising for a weekend away or enjoying a sunset cruise with friends — the Leader 9.0 CC can accommodate up to 11 onboard and is powered by twin 200 Hp (up to 250 Hp for more performance) engines.